Semi gantry crane is a variation of gantry lifting equipment, which is widely adopted when the space is limited. This single leg gantry crane differs from full gantry crane in that it utilizes a wall-mounted I beam on one side and A-frame leg on the other side to accomplish the movement. 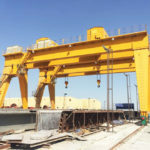 This gantry crane is primarily used in manufacturing and material handling industries such as workshop, shipyard, quay, and port to handle heavy loads. The semi gantry cranes have two main configurations including single girder gantry crane and double girder gantry crane to suit different applications. 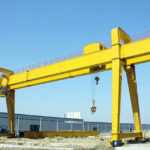 We mainly produce two models of gantry cranes for your choice. And different styles and designs are available to meet various operation and application requirements. BMH semi gantry crane is a kind of single girder crane, usually equipped with CD1 or MD1 electric hoist. Besides, the European standard electric hoist is also in option. This type of gantry crane is designed for general use and the maximum lifting capacity can reach 16 ton. 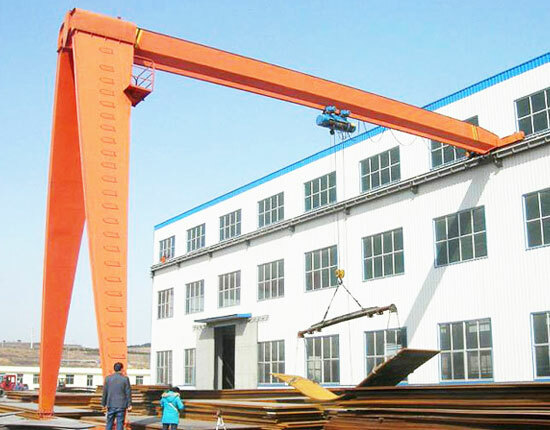 The steel structure of semi gantry crane usually adopts box form, and truss gantry crane is more often used in outdoor workplaces where have strong winds. BMG semi gantry crane is generally the same with BMH type except it adopts double girder design, so it can reach a larger capacity and greater lifting speed compared with the single girder type. This type of crane also has higher working level. 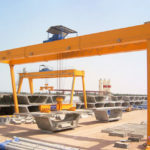 When selecting a semi gantry crane, you need to think about a few things including your required capacity, span, lifting speed, application, working environment and other designs to make the right choice. During gantry crane operation, it is significantly crucial to ensure a safe operation for that the incorrect operation may not only affect the efficiency in your production line, but lead to serious even fatal accidents. There are some things the crane operator should and should not do. Receive professional training on the crane knowledge and operation rules, and strictly follow the rules and regulations during operation. Inspect semi gantry crane and some vital components daily before use to make sure they are in good working conditions. Once you find breakdown or damage to the equipment, you should inform maintenance specialists immediately to repair the crane. After finishing semi gantry crane operation, the operator should place the hook in a right position and all controls and main switch in the off positions. Never operate a gantry lifting equipment which has been damaged or has any mechanical malfunction. Do not repair or maintain the crane if the operation has no such qualification. Do not stand under the lifting load or let someone else walk under the load. Do not operate the crane in a rapid movement. Do not use wire rope and hoist to pull the load. The semi gantry crane operator should notice each safety issue and follow the operation rules as it can help prolong the service life of the equipment as well as ensure a more secure and stable operation. 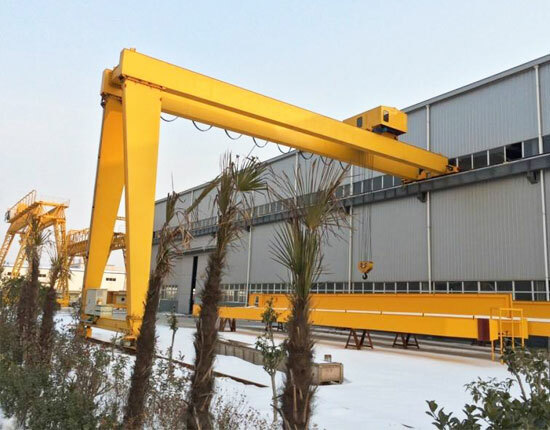 The semi gantry crane has simple assembly and disassembly with one side mounted on an elevated runway and the other side mounted on the ground track. This gantry lifting equipment can also be relocated in other working areas easily. 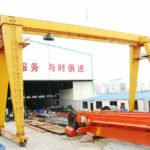 When installing semi gantry crane, you should first read the installation manual and strictly follow the instructions. Besides, you should take some safety precautions. For instance, you should check if there are obstacles in the crane traveling path, and inspect all the bolts to make sure they are tight and also check any other unsafe conditions. 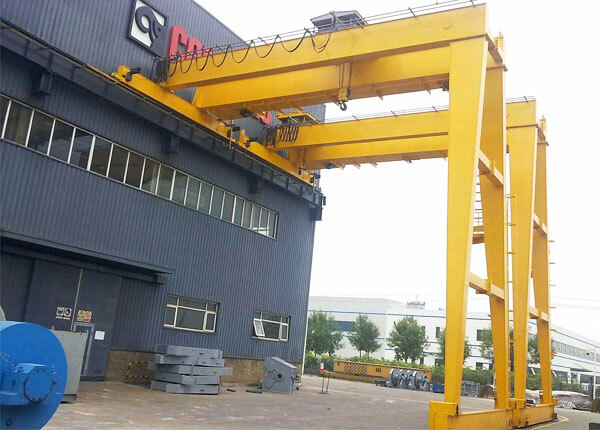 The correct installation is a prerequisite for safe and reliable operation, so you need to pay more attention to the semi gantry crane installation. We have experienced technicians and experts to provide the installation guidance service as well as on-site installation if necessary. To know more about gantry crane installation, consult our engineers online, and we are more than happy to help solve your problems. This single leg gantry crane has helped a large quantity of factories achieve improvement in safety and efficiency and reduce workflow and worker personnel. This semi gantry crane brings benefits to users in many ways. It has strong versatility and flexibility. Our gantry cranes are designed to meet flexible lifting requirement for various industries. The great versatility allows this lifting tool to meet the needs of different applications easily. In addition, our semi gantry cranes can be customized to fit particular needs of customers. The gantry crane can achieve an easy relocation, which is ideal for users who need to handle materials in multiple workplaces. It can be moved from one site to another readily and quickly. This gantry lifting equipment can simplify your workflow and keep working without any interruption, so it helps increase production in your workshop. Besides, this lifting solution has features of high safety and reliability. By using the right semi gantry crane, you can maximize your productivity and decrease crane downtime, and you can also keep the crane operators and workers safe in their daily works so as to reduce accidents. 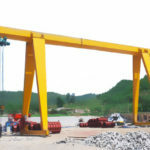 We supply multiple types of semi gantry crane for your choice. Like a typical top running crane, this crane travels along the upper runway beam with the other side supported by legs. The supporting legs are attached to lower end carriage which can run on a variety of different tracks. 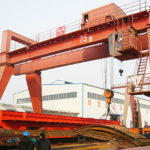 The options for semi gantry crane include box or truss structure, different types of hoist and hook, signal device, and sensors to detect obstructions in the travel path. Our gantry cranes are designed to suit your specific needs, and we also provide non-standard custom design based on your requirement. 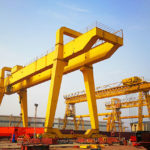 We have years of experience in semi gantry crane design and manufacturing, and have earned customers’ trust by way of constantly providing quality products and dependable service. Our gantry cranes have passed CE and ISO certifications. 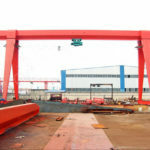 We also supply other types of gantry cranes, such as rail mounted gantry crane, rubber tyred gantry crane, portable gantry crane, container gantry crane and ship to shore gantry crane for your wide range of applications. As a subsidiary of Aimix group, Ellsen has been engaged in material handling industry for more than ten years. We are professional lifting equipment supplier and aim to solve your various lifting problems. 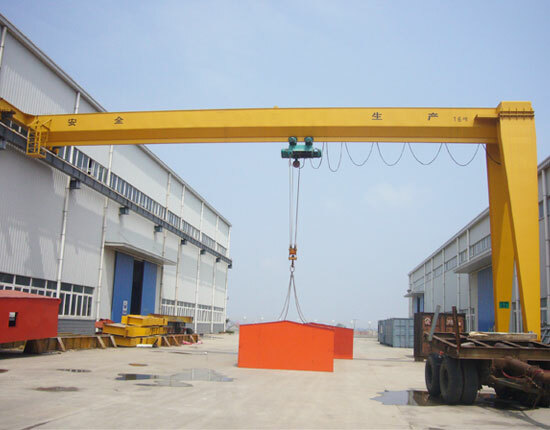 If you would like to buy a semi gantry crane, welcome to contact us online. We look forward to cooperating with you.